If you’ve been seriously injured by a defective airbag, call Carr & Carr Attorneys at 1-877-392-4878. 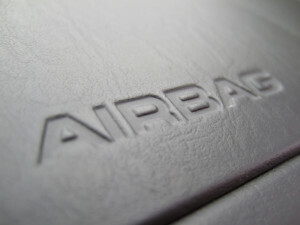 If you have been hurt due to a defective airbag, contact the personal injury lawyers at Carr & Carr Attorneys. There is no cost to you for our initial phone conversation or in-person meeting. Additionally, since we work on a contingency fee basis, you pay for our services only if we settle or win your case. We can help you no matter where you live. What Should I Do If I Have A Car That Is Affected By The Takata Airbag Recall? Read the Consumer Advisory from the National Highway Traffic Safety Administration (NHTSA). Vehicle owners can call the NHTSA Safety Hotline at 1-888-327-4236. Remember time limits called “statute of limitations” are in effect for filing law suits. You must file a lawsuit before the applicable time limit expires. The time limit and other regulations are different in each state, so talk with the experienced personal injury lawyers at Carr & Carr as soon as possible to learn what options you have.